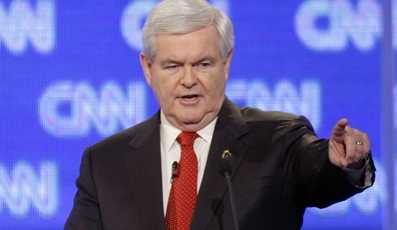 I watched with admiration as Newt Gingrich, excoriated CNN and ABC news for leading with a story from his X-wife only two days before the South Carolina primary. The crowd gave him a standing ovation. Bully for you Newt. Why did John King choose to open a debate with a question that has little to do with where Gingrich is positioned in his life now? To my dismay, when I scanned the media reports of the debate I found not one mention of Ron Paul anywhere, the only quote from Paul, was that he was being ignored during the debate. Why is it that the media elite control what the news is, what we see and hear? Who decides what is important? Why is it that these weasels choose to release a 15-year-old story about Gingrich and his divorce, in spite of the fact that Gingrich’s two daughters came to their father’s defense? Duplicity? Why is it that Barry Soretero and his association with characters like Jeremiah Wright and Bill Ayers, are down-played by the same Weasels-in-the-stream media? How come Mr. O gets a pass – and by the way you will notice that O was on every magazine possible during the last election – and Republicans don’t? Where is the outrage of the American people who are held hostage by the Federal Reserve as Congress votes to once again extend the debt ceiling another 1.2 TRILLION dollars? Where is the outrage that congress passes a law that suspends the right of due process, that essentially does away with our constitutional rights, that suspends our rights of Haibeus Corpus, that ignores what our ancestors fought for in the American Revolution. FAQs: What Is Habeas Corpus | Center for Constitutional Rights In other words we can now be arrested and detained for who knows how long by a government who may deem any of us a threat. We as a people have grown soft. We have become cowards, afraid to stand up for what is right. We have lost our sense of outrage. While I am not endorsing Newt Gingrich, I applaud his verve and his passion when confronted by these morons who demean the American people and the election process, with questions as Gingrich declared, is as close to despicable as anything I can imagine.